Towards the end of 2012, something happened that had never happened to a social network before: Facebook reached one billion monthly active users. Since then, the rapid growth has continued, and they reached 1.44 billion monthly active users as of the last announcement in March. With over a seventh of the world’s population in its user base, Facebook has the broadest reach of any social network and possibly the most targeted advertising offerings online. All this potential, unfortunately, makes creating Facebook ads a notoriously confusing process. 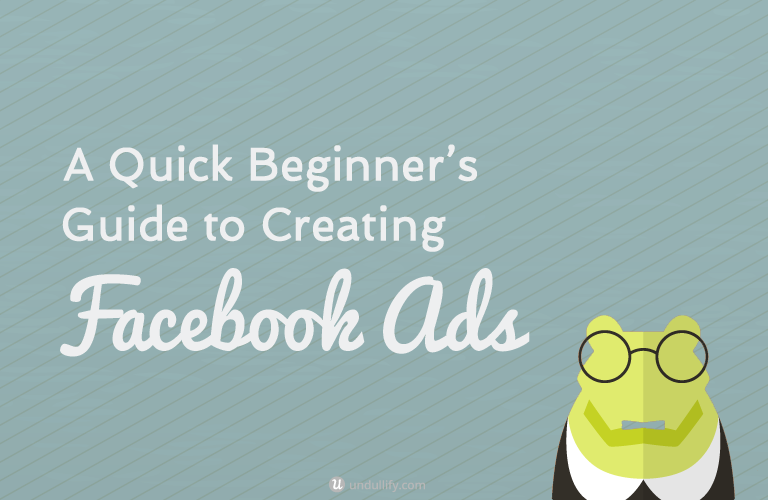 This guide will clarify the most important aspects of creating Facebook ads, but with a constantly changing network, the most important thing to do is just start trying things! 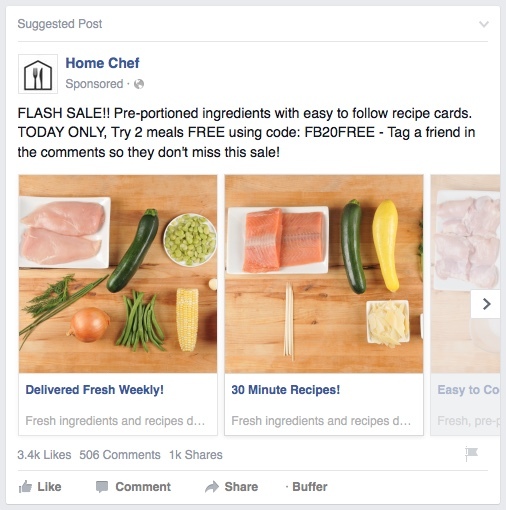 Experimentation is how I learned almost everything I know about Facebook ads. If something doesn’t work and you lose a few dollars, hey, chalk it up to a learning experience and move on. 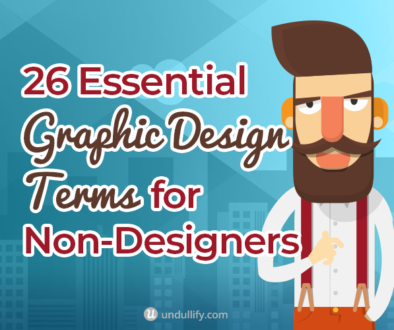 But this guide will help minimize that. Before you can begin making Facebook ads, you will need a Facebook Page from which to run them. If you haven’t made a page for your business yet, click here to create one. You should also understand a little about how the Facebook algorithm works. Between late 2013 and early 2014, businesses on Facebook started reporting dramatically lower reach on their posts. Facebook explained this as the result of increased competition on the newsfeed; the average Facebook user would have 1500 new updates to scroll through every time they logged onto Facebook if an algorithm didn’t choose which updates to show them. This is simply too much, so Facebook attempts to show people the content they will most likely engage with. The exact level of organic reach on Facebook is different for every business, but various studies have suggested anything from down around 2% to a more modest 7%. Despite these low numbers, there are still ways to score well above average. If you focus on creating high-quality, engaging content, like videos or multi-image collages, you can get people excited about your updates. This is true regardless of whether you pay for advertising or not. If you create engaging content for your ads, your advertising budget will stretch much, much further. 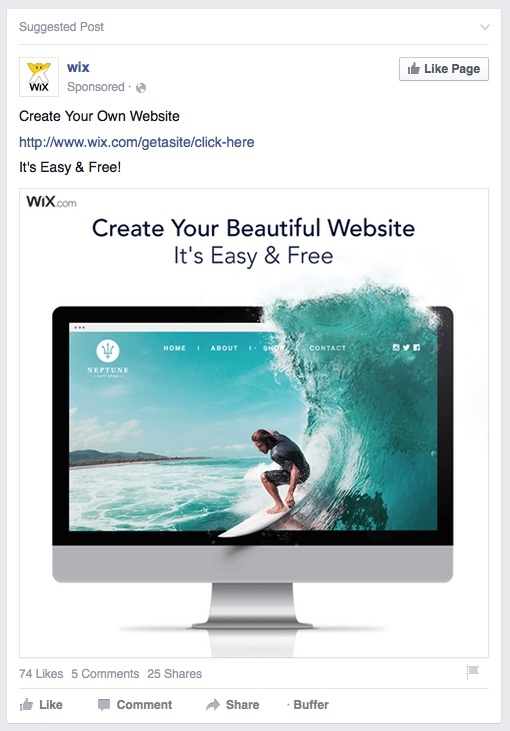 To create your first Facebook ad, click the Promote button at the top right of your page. There are shortcuts to the most common ad types, but I recommend instead clicking “Go to Ads Manager,” then clicking the green “Create Ad” button. A detailed list of potential campaign objectives will appear. Clicking any of these will guide you through a recommended campaign based on that objective. You can also turn any post you make on your page into an ad. This is called “boosting” a post. Put a budget into any post on your page by clicking the blue “Boost Post” button at the bottom right of the post. The options for choosing an audience are very similar to the instructions below for a regular ad. 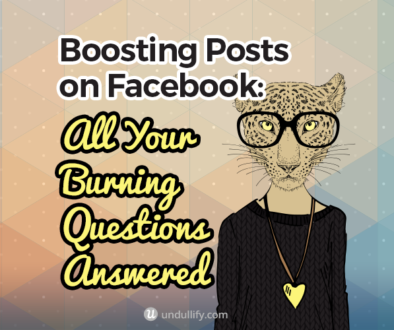 Facebook recommends boosting posts that perform well organically, and when you post something that does significantly better than your average update, you will get a notification prompting you to boost it. 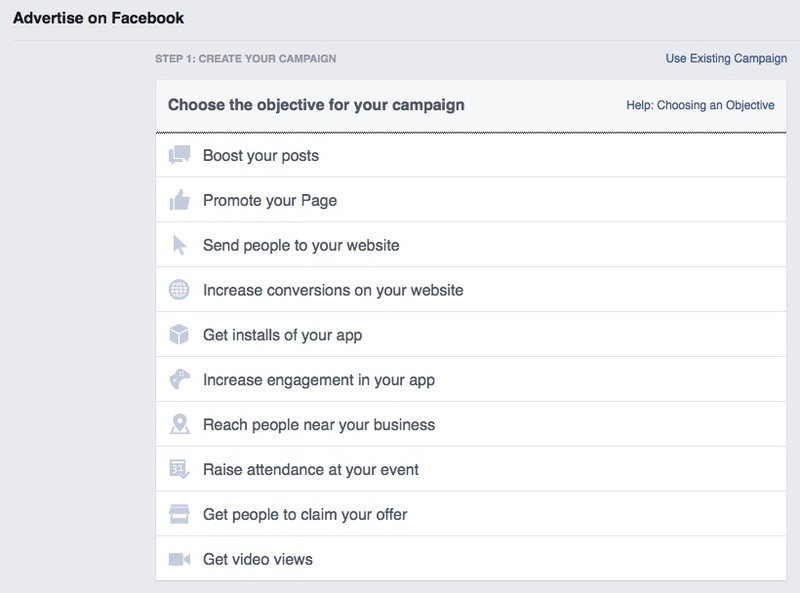 After you choose your ad type or objective, Facebook presents you with a bucketload of targeting options. Don’t be intimidated. This is where the magic happens. Visualize your typical customer. Where do they live? How old are they? Are they male or female? What are they interested in? All these qualities and more can be pinpointed with Facebook targeting. You can even get as in-depth as targeting specific groups, such as recently engaged women or people who access Facebook on iPads. If you’re unsure, start broad and narrow down as you test out different audiences instead of trying right off the bat to make a highly-specific audience. Also, if there’s any time to play into stereotypes, it is now. It sounds harsh, but in my experience this has worked well. Your customers definitely are multi-dimensional, unique people with a myriad of interests and preferences, but when you are targeting your ads you want to be hitting the greatest common denominator. Once you really understand your audience, then maybe you create smaller ads to target certain subsets, but especially from the beginning, target your most typical customer. Service area. It only makes sense to target people who you can ship your product to, so define the exact states or even zip codes you serve. Targeting English (or whatever language you operate in) will help avoid people who for whatever reason are in your service area but don’t speak your language and will otherwise gloss right over your ad. Age and stage. These meal planning services make the most sense for young, career-focused single professionals or couples who have an excess of money but not an excess of time to spend on food. To target these people, you’d want to focus in the mid-twenties to mid-thirties, and you would likely choose demographic options that indicate a disposable income. Interests on Facebook aren’t an exact science, but I have had decent luck using them to target ads. I recommend only starting with one or two big ones, since each interest you ad expands your audience instead of focusing in on people who like all the interests you list. Home Chef probably targets people with an interest in cooking and high-quality food. Non-targets. I expect these services do not do well with large, budget-conscious families or stay at home moms, who would probably rather save money by searching out sales at their local grocer. Since Facebook doesn’t currently have exclusion targeting options, you need to find these audiences by avoiding the types of demographic filters that are more likely to capture parents. As you fill out your targeting options, keep an eye on the scale to the right that indicates the audience size. You will want to stay within the range indicated in green, as this will give you the most bang for your buck. Make your audience too specific, and you will pay a premium to reach the people you want to reach; make it too broad, and you may be throwing away money on people who are not interested in your product or service. What’s the perfect audience size? Many articles I have seen will try to give you an exact number. I think that’s silly. I have had ads perform really well with an audience of several thousand and ads perform really well with an audience above fifty thousand people. The inverse is also true. Instead, keep an eye on where that dial is pointing and keep experimenting. To save an audience so that you can come back to it later, check the “Save this audience” button at the bottom of the targeting section. I like to use this feature to keep testing small variations of the same audience. The key to finding the perfect audience size is experimentation. Like choosing an audience, determining how to spend your ad budget can be a little tricky. I recommend you start with a small budget as you try things out and increase your spend on ads that prove themselves. For the sake of experimentation, I prefer to put a small daily budget of just a few dollars into my ads and run several of them at a time. After a few thousand impressions, I can easily tell which ads are outperforming the others; I turn the worst-performing ads off and concentrate on fine-tuning the better ones. This method requires you to be attentive to your ads. You should be checking them regularly, preferably several times a day. This is not a method you try before going off on vacation for a week, because if you forget to pause your ads you’re going to be looking at a lot of inefficiently spent budget! Facebook allows you to upload up to six images to test against one another within the same ad. 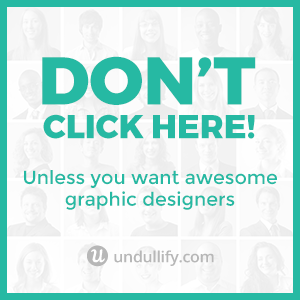 Definitely use at least two – these images are going to be the first thing people notice when they see your ad, so you want to learn what your audience responds best to. If you are targeting a particularly large audience or using a higher budget, test out all six and turn off the ones that perform worse. You can use all six on smaller audiences or spends, but it might take a while before you gather enough impressions to know which ones are doing well. You can either provide your images, or search Facebook’s Shutterstock library. The stock photos are nice for quickly getting set up, but providing your own images is the best way to stand out from other advertisers who are drawing from the same library of stock images. Most recognizable advertisers provide their own unique imagery, as you can see from the examples below. If you are planning to use your own images, Facebook’s recommended image size is 1200 by 444 pixels. There is a rule that no more than 20% of the image may contain text. Choose photos that are clear, bright, and easily understood even at small sizes. Warm colors in particular will stand out from Facebook’s blue and white color scheme. Try to pick an interesting image that will make people stop and look. 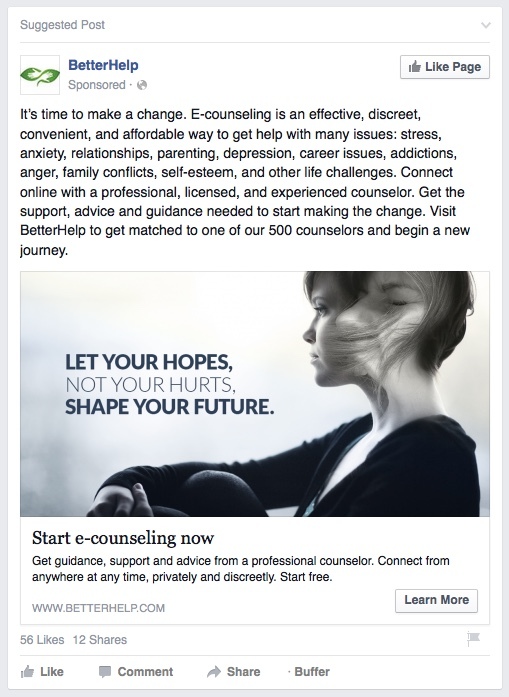 The BetterHelp ad above is a great example. Your ad will appear between other posts on their news feed, so you want an image that will break through the noise. Product photos are great, but you should also try to sell people on what your products will do for them, like the example from Wix. According to one study, the most consistently successful Facebook ad images are of smiling women. Using your own images is the best way to stand out from other advertisers. Short and sweet is best when it comes to the description for your ad. If you could sell your audience on your product in as few words as possible, what would they be? Want [Blank]? Get our [Blank] to learn how. 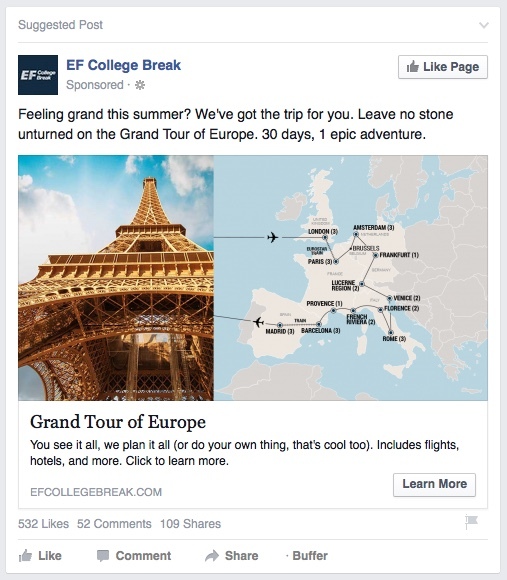 The boosted post by EF College Break above uses a very similar type of description that earned them over 500 likes. When you create an ad, Facebook will give you three options for where your ads will appear: the desktop news feed, the mobile news feed, and the right column. Right column ads are cheap, but most people have trained themselves not to pay attention to them and they do not appear on mobile. I usually just turn them off. After you place your order, you will need to wait for Facebook to approve your ad. Sometimes my ads are approved within seconds; sometimes it has taken half an hour. After it is approved, you will start to get impressions on your ad. Facebook wants to serve up content its visitors will enjoy, so Facebook will work for you to give your best ads more impressions while toning down the least engaging ones. I usually try to let an ad reach a few thousand impressions before I pause them. Also keep an eye on your “Frequency” column. This is the number of times, on average, your ad was served to each person you’ve reached. As long as it stays around one, you are consistently reaching new people who are seeing the ad one time. It is fine to have a higher frequency – it might take people a few passes to stop and notice your ad – but you might want to change up your ads before people see them too many times. AdEspresso has a great guide to Facebook ad frequency, and recommends you start making changes around 5 and never go above 10. Over time, your ads will become less effective, even if they initially performed quite well. This is because you have, for the time being and with that exact ad, exhausted your audience. It’s time to try something new. Keep experimenting! 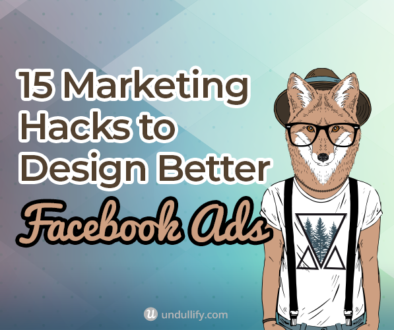 Facebook ads can be frustrated to get started with, but it can be really exciting to score with a really well performing ad. And as a bonus, you’ll learn a lot more about your audience and what kind of messaging they respond best to. Nobody is going to tell you the perfect way to reach your audience; you just have to find it yourself through testing and experimentation. Good luck!